The Snoqualmie Valley Schools Foundation honored four SVSD Educators of the Year. 50+ professionals participated in the MSHS Career Fair, sharing their insights and answering questions about career options. Construction of Mount Si High School remains on time and on budget. See exciting developments. The CKMS Choir, with soloist Emma Sharkey, sang "A Change is Gonna Come" by Sam Cooke, to honor Martin Luther King Jr.
Opstad Elementary 3rd graders perform a song about salmon habitat using American Sign Language (ASL). Mount Si hosted the Seattle Seahawks' first BLUE FRIDAY Night Lights celebration on September 21, 2018. Do You Have First-Week-of-School Jitters? Watch a slide show of snapshots from the first day of school -- August 29th, 2018. Hear what students have shared about staff in our schools. Welcome back! Check out the latest update regarding construction projects around the district. Congratulations to the Class of 2018! Enjoy a slideshow with 75 snapshots from the June 8 Ceremony. Click on the image for the latest update regarding construction projects around the District. Celebrate four outstanding SVSD educators honored by the Snoqualmie Valley Schools Foundation. Watch the latest video update of construction projects around the District. Learn how technology is used throughout the District to enhance learning and prepare students for future careers. Community members are invited ot the 7th annual school tour featuring SES and MSHS. Students of all ages are giving back to the community in significant ways. Enjoy a video about "thankfulness" at Opstad Elementary School. Watch special interviews with Walter Wyrsh and David Lake, long-time Snoqualmie Valley residents and World War II veterans. Watch the latest update regarding construction projects around the District. Enjoy back-to-school photos from the first week of school throughout Snoqualmie Valley. Enjoy photos of SVSD staff preparing to welcome students back to school. Click on the image for the most recent video of Mount Si High School construction. As the stone column installations to prepare the site nears completion, contractor Spee West has begun work on building the footings that will support the new high school construction. Congratulations to the Class of 2017! Enjoy a slideshow with 85 snapshots from the June 9 ceremony. 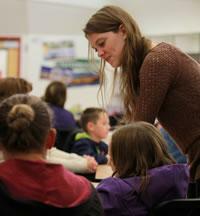 Four Snoqualmie Valley educators were recognized by the Snoqualmie Valley Schools Foundation. This updated on the latest progress on Mount Si High School construction explains the stone column drilling process to prepare the site. During this first year of the AVID program, hear what Snoqualmie Valley students have to share about this new college-readiness course. 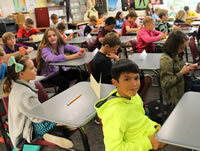 Each year, the community is invited to this special event to explore Snoqualmie Valley Schools. To watch a slide show of the 2017 School Tour, click on the image. Watch a brief video regarding changes to Mount Si High School's main entrance and parking areas in January. Click on the image to start. Click on the image to watch a brief video about construction progress on the high school expansion project. Click on the image for a video introduction to Timber Ridge Elementary School. Consider a flexible, part-time position of driving a Snoqualmie Valley school bus. Watch a brief video from the Transportation Team to learn more. 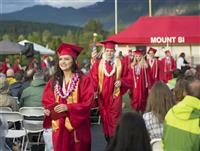 Enjoy a slide show of Mount Si High School's rainy but festive June 10 celebration! Check out brief “fly-by” videos of school construction progress, developed by Mount Si film students using a camera-equipped drone. 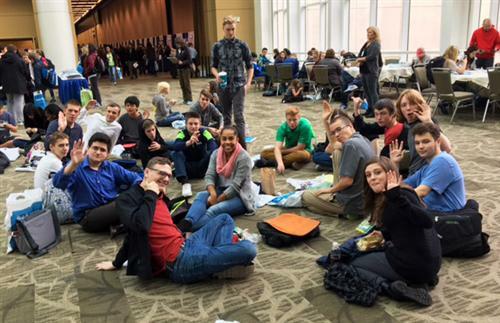 Students throughout the district experienced “coding” lessons taught by Mount Si High School students. Students helping their peers and making a difference. Enjoy a slide show from Mount Si High School's Class of 2015 Graduation ceremony. Click on the image for an aerial video of the new school site, taken by Mount Si students using a drone on May 15. Click on the images for photos from STEM Fest 2015, the annual event that showcases hands-on Science, Technology, Engineering and Math (STEM) courses and clubs available at Mount Si High School. Click on the image to learn how this group is working to promote a positive school culture. Watch a slide show from this annual event that featured 55 colleges and trade schools, and attracted 400+ Mount Si students and parents. Click on the image for photos of students, parents, and staff on the first days of school throughout the Snoqualmie Valley.